The neurosurgery department has developed several specialty medical programs. The most suitable treatment plan for each patient. 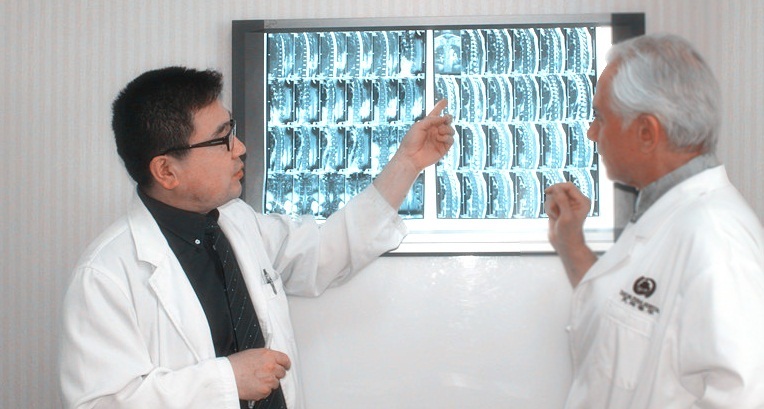 Directed by Dr. Xiaodi Han, the neurosurgical team at Beijing Puhua International Hospital has extensive cumulative training and experience over a wide range of conditions and treatments, from observation for relatively minor neurological injuries (such as brain concussions) to the diagnosis and treatment of more advanced neurosurgical issues. Our neurosurgical team not only is able to do various complex surgeries, but also is brought line with international treatment. Equipped with the most advanced technology, Puhua provides the most suitable treatment plan for each patient, thereby to achieve the best treatment effect. Professor, Doctoral Advisor, Chief Scientist of Targeted Therapy of Glioma, Director of the Neurosurgical Department, Reviewer of Jouranl of Neuroscience Research, Member of Evaluation Committee of Natural Science Foundation of China (NSFC). 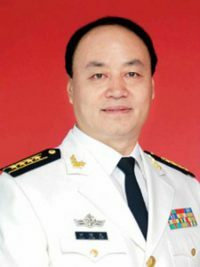 Dr. Xiaodi Han graduated from Shanghai Medical University (now merged with Fudan University) in 1992. In the same year, he came to work at the Neurosurgery Department of Beijing Tiantan Hospital. There, he studied under Professor Jizhong Zhao, and participated in many important research projects of Beijing. He is also the editor of many neurosurgery books. 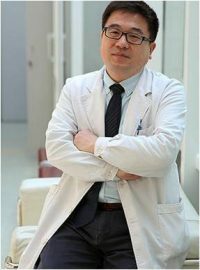 Since working at the Neurosurgery Department of Beijing Tiantan Hospital, he was in charge of comprehensive treatment of glioma and various kinds of neurosurgical treatments. He has worked at Alfred Hospital, Melbourne, Australia, and Wichita State University, Kansas, America. Subsequently, he has worked at the Neurosurgery Department of University of Rochester Medical Center where he was responsible for post-graduate research specializing in stem cell treatment. Currently, Dr. Xiaodi Han is the Director of Neurosurgery Center of Beijing Puhua International Hospital. He devotes himself to clinical work and teaching research of stem cell treatment for neurosurgical diseases. His creative “spinal cord reconstruction” surgery benefits thousands of patients from all around the world. He is ingenious at surgical treatment and comprehensive postoperative treatment for glioma, which has brought him international recognition. In addition, he is a forerunner of stem cell targeted therapy of glioma research, both at home and overseas. Areas of specialization: Brain tumor, spinal cord reconstruction, Parkinson’s disease. Until now, he has successfully completed thousands repair operations of brain and spine. Mainly for a variety of severe brain damage, such as: cerebral palsy, cerebellum atrophy, sequelae of brain injury, Parkinson’s disease, autism, epilepsy, hydrocephalic, etc. His patients come from more than 20 countries around the world. His surgery robot has international patents, acquired China’s product permit of medical equipment license. His remarkable contribution and distinguished achievements made him renowned both at home and overseas: Executive committee of International Society for Neurosurgical Academy; Editorial Board Member of International Journal of Stereotactic Surgery; Senior Visiting Scholar in University of Washington. Areas of specialization: Brain injury, stroke, cerebral palsy, Parkinson’s Disease, seizure disorder/epilepsy, autism, torsion-spasm.